Father’s Day is quickly approaching and you’re still scrambling to figure out the perfect gift for your own father, or your hubby/new father. You don’t want to do the same old same old, but can’t quite come up with something new and fun. Well, let us help you! 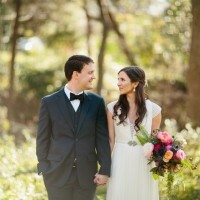 We’ve got some great ideas that will leave an impression on whoever the special man is! For the most part guys love cigars, beer, and grilling so you could never go wrong following those leads. But instead of just wrapping up an average gift, try to give it a little bit of a twist! 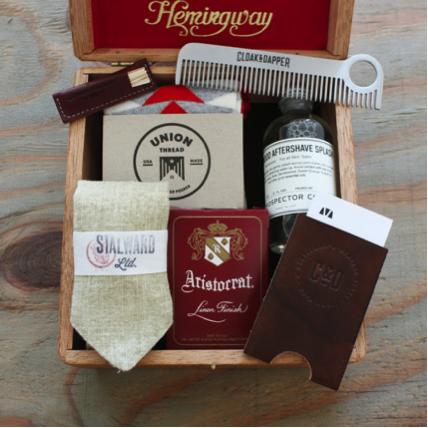 This ultimate Fathers Day gift from Cloak and Dapper is a perfect gift for any guy! They have an array of gifts for dads, but this one is the ultimate package! Another great idea for any guy would be some specialty and gourmet rubs for grilling like the ones at afire! 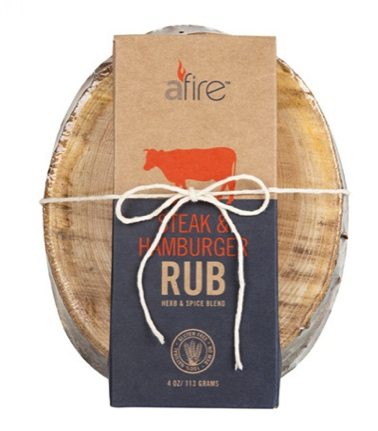 You could even get really creative and put together a grilling gift basket with different rubs, utensils, and anything else your guy would need! For your own father try some of these unique gifts. 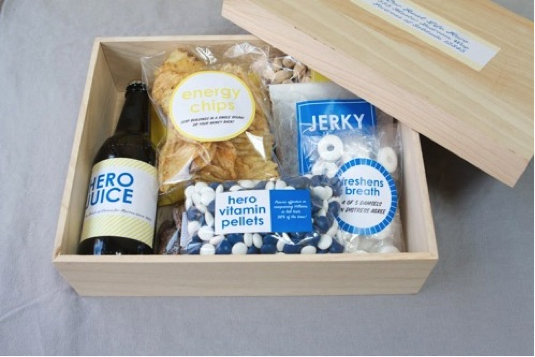 This super cute “hero box” from Oh Happy Day is absolutely adorable! It’s a DIY project so you can pick out all of his favorites and order the cute labels the way you want them. Every dad needs a good reminder that he’s still his little girl’s hero! 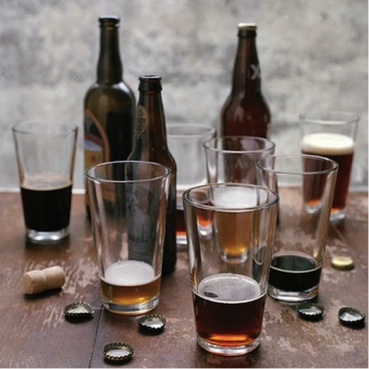 Another great idea for your own father would be a membership to the Beer of the Month Club! What dad wouldn’t appreciate this gift?! If you’re a new family and you want to do something special for your hubby from the kiddos, try some of these adorable gifts! 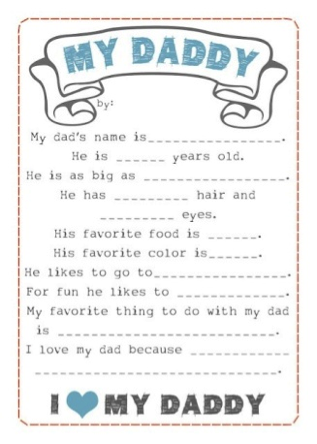 A fill-in-the-blank sheet for your child’s dad is a special way to capture your kids’ love of their dad. Try framing it too so that your hubby will always have it either on his desk, or hanging somewhere! This is a great DIY for your hubby that he will really cherish! 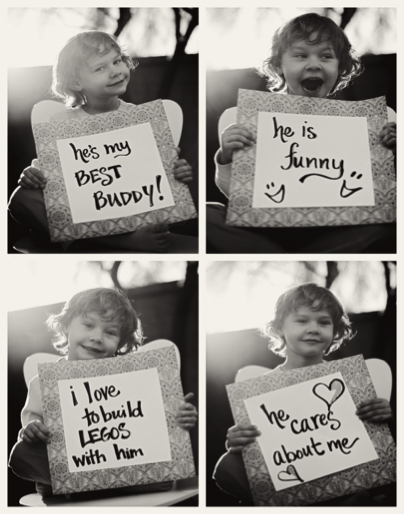 Ask your child what they love about their dad and either use a whiteboard or chalkboard to photograph them with their answers. Frame it so that their father can always have it, it’ll be great to look back on when they’re older! I hope these ideas inspire you to show the most important guy in your life a great Father’s Day!